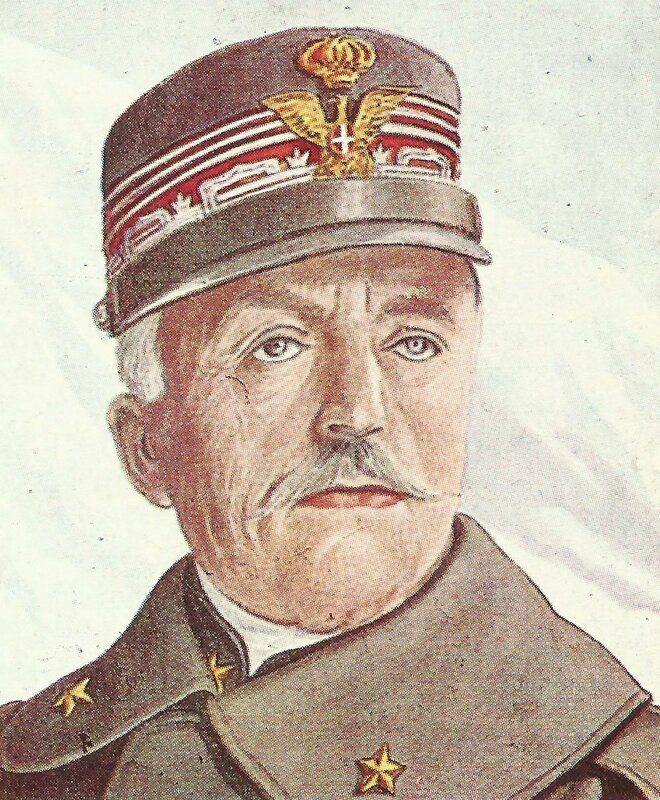 General Cadorna, who commanded the Italian Army. Allied Rome Conference (until January 7): Fifth Meeting of Allied military and political leaders. Cadorna asks for 8 divisions and 300 heavy guns (later 10 divisions and 400 guns) to capture Laibach and Trieste and so eliminate Austria. Anglo-French only willing to lend guns till April (Western Front offensive), first month when Italian large-scale operations possible. Conference also acts to improve communications to Salonika via Southern Italy. Salonika: Sarrail and Milne attend Rome Conference, but Italians decline to reinforce them although former impresses Lloyd George. General Sir H Wilson temporarily in command of Salonika Army (January 3-10). British 65th Brigade raid on Akinjali village only takes 4 PoWs. Baltic Provinces – Battle of the Aa (until February 3): Surprise Russian Twelfth Army (Radko) offensive with 2 Latvian brigades (3 other regiments refuse to attack, 94 soldiers executed), without prelim shelling, between Lake Babit and Tirul Marsh, west of Riga. It gains 4 miles plus 8,000 PoWs and 36 guns by January 11 despite German counter attacks from January 11-13. Biscay: French steamer escapes twice only to be caught after 15-hour chase (until January 6) during U-48 patrol claiming 11 ships worth 27,000t. Black Sea: 4 Russian pre-Dreadnoughts, 1 cruiser and 3 destroyers sink 39 Turk sailing coasters off Anatolia (until January 9).